You are here: Home / Featured / Which are the top 3 diseases affecting urban women in India? Which are the top 3 diseases affecting urban women in India? The Times of India (TOI) last month published an article which outlined five main health issues affecting the urban women in the country today. The list included breast cancer, stroke, poly cystic ovary disorder, female sexual arousal disorder and weight gain. While these may not only affect urban women, it is a common consensus that most of the burden of these diseases is on them. This article looks at three of the diseases listed above , focusing on their incidence rates and common prevention and treatment options . The Lancet in 2012, published an article which stated that by 2020, 70 percent of those suffering from cancer worldwide will be from developing countries, with a fifth located in India. The same report stated that the Indian Council of Medical Research in 2011 released an analysis of cancer cases among women in Delhi, Mumbai, Chennai, and Bangalore from 1982 to 2005. The research showed that until about 10 years ago, 10 per 100 000 women were diagnosed with breast cancer, compared with 23 per 100 000 now. By 2020, breast cancer is set to overtake cervical cancer as the most common type of cancer among all women in India. There is consensus however the level of incidence of breast cancer is more in urban women their rural counterparts. As reported by an article in Bloomberg in India, breast cancer typically affects women at age 45 to 50—more than a decade earlier than in the west . The same article goes on to state that fewer cases in India involve protein molecules targeted by estrogen, the female hormone that stimulates breast cell division. According to an article published in Livemint in 2013, India will lose about $20 billion in economic output from 2012 to 2030 due to breast cancer. Dr Ashok Vaid in a statement to the TOI said that “Breast cancer is definitely one of the most common problems amongst women today. While there is no one cause that can be ascertained as to why it hits one and not the other, science does understand some issues related with it. The main reason is the paradigm shift in lifestyle. Things like late marriage, delay in having the first child, less breast feeding, obesity and genetic factors, all make for a variety of reasons that heighten the risk of breast cancer in women. Due to societal pressures, many women in the country feel ashamed to talk about this disease and this is a factor for low detection of breast cancer . It is clear however that more needs to be done to spread awareness about this disease in the country.” Dr. Vaid is a senior oncologist at Medanta Medicity hospital. According to information published in website “Breast Cancer in India” * The planning for the treatment of breast cancer is very complex. There are two main forms of locoregional treatment and these consist of measures to remove the tumour i.e. surgery and measures to prevent recurrence of the tumour i.e. radiotherapy. The second is the systemic treatment that includes measures to reduce the chances of a ‘recurrence’ of the disease after surgery, and in some cases, to downstage a locally advanced cancer so as to make it operable, or make it possible to conserve the breast. Systemic treatment includes chemotherapy, hormonal therapy and targeted therapy. Treatment is also planned depending on the stage the cancer . First, is the operable breast cancer – the earliest stage of breast cancer, where the tumour is smaller than 5 cm, is localized to breast, and there may be some mobile axillary nodes. The second one is the large operable cancer which is more than 5 cm in size. The third is the locally advanced cancer where the disease is advanced ‘locally’, though not spread elsewhere on routine work up. ‘Locally Advanced’ implies involvement of the skin over the tumour, puckering of skin to produce an ‘orange peel’ appearance, fixity to underlying wall, ‘matted’ nodes in the axilla which are not freely mobile. 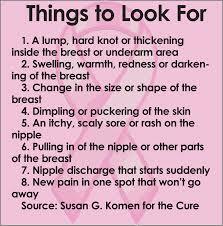 And lastly, there is metastatic breast cancer where the cancer has already spread to other organ/organs. In its latest five year plan (2012-2017) Rs, 16 000 crores ($3·3 billion) has been given to the fight against all cancers. The country has ambitious plans for these funds. By 2017, India plans to open two national and 20 state cancer institutes, to support 100 extra tertiary cancer centres and increase the number of district cancer centres from 100 to 640. The number of institutes contributing to India’s cancer registry will rise from 27 to 122. *Breast Cancer in India was started by Dr. Sumeet Shah and is an online information portal on the treatment and detection of the cancer. The website has various contributions from other doctors as well. A stroke is a “brain attack”and occurs when blood flow to an area of brain is cut off. When this happens, brain cells are deprived of oxygen and begin to die. When brain cells die during a stroke, abilities controlled by that area of the brain such as memory and muscle control are lost. How a person is affected by their stroke depends on where the stroke occurs in the brain and how much the brain is damaged. Someone who had a small stroke may only have minor problems such as temporary weakness of an arm or leg. Some people recover completely from strokes, but more than 2/3 of survivors will have some type of disability. A similar study was held in the United States in 2011 by the Centers for Disease Control and Prevention found that there has been a roughly 50 percent rise in strokes in women during pregnancy or after childbirth from the mid-1990s to 2006-07. The new study, published in the journal Obstetrics & Gynecology, documented a 61.5 percent increase from the mid-1990s to 2010-11. The statistics for this disease are still higher in men but now by not much. Dr Jeyaraj Pandian of the World Stroke Organization in a statement to the DNA last year said that “the stroke ratio is 60% for men and 40% for women, from 140 new stroke cases per 1 lakh per population”. Another form of stroke is pregnancy stroke, which is again on the rise in India. According to a research study, Dr Aravind Ganesh, a neurology resident at the University of Calgary, said that women who had high blood pressure during pregnancy could be at higher risk of stroke, particularly if they had preeclampsia, which is a more severe form of high blood pressure. A paper published by the South Asia Network of Chronic Disease states that as life expectancy is projected to increase, India will likely face a significant socioeconomic burden to meet the costs of managing stroke. In 1998, it was estimated that strokes accounted for 0.9% to 4.5% of total medical admissions and 9.2%-30% of admission to neurological wards. More recently it has been estimated that 12% of all strokes occur in those less than 40 years: previous stroke is a major risk factor for stroke for those aged more than 65. The same paper further goes on to state that the economic burden of stroke has not been explored. However, India is estimated to have lost 8.7 billion 1998 international dollars in 2005 due to coronary heart disease (CHD), stroke, and diabetes. This is to increase to 54 billion 1998 international dollars by 2015 and India’s growth of gross domestic product (GDP) is estimated to fall by 1% because of the combined economic impact of CHD, stroke, and diabetes. According to Dr Jeyaraj Pandian, the occurrence of a stroke in women occurs after menopause as the protective effects of hormones diminishes and the risk for stroke becomes greater and the elevated risk of stroke could be as high as 40 per cent. In a study published by him and Paulin Sudhan, the prevalence rate of strokes is 84-262 per 100,000 population in rural India and 334-424 out of 100,000 population in cities. In a statement to TOI they said that “India, like other developing countries, is in the midst of a stroke epidemic. There is a huge burden of strokes with significant regional variations,” , adding that this called for an organised effort by both the government and private sector. In India though at the moment new guidelines are being implemented, according to an article in the TOI, doctors are now recommending that pregnant women with moderately high blood pressure (150-159 mmHg/100-109 mmHg) should be considered for blood pressure medication, whereas expectant mothers with severe high blood pressure (160/110 mmHg or above) should be treated. Women should be screened for high blood pressure before taking birth control pills because the combination raises stroke risks. Women who have migraine headaches with aura should stop smoking to avoid higher stroke risks. Women over age 75 should be screened for atrial fibrillation risks due to its link to higher stroke risk. Poly cystic ovary disease (PCOD) is a condition in which there are many small cysts in the ovaries, which can affect a woman’s ability to conceive. As a result, women with this syndrome show features such as acne, excessive facial hair growth (hirsutism), weight gain and irregular or scanty periods. It also causes the body’s blood sugar control to malfunction resulting in high levels of insulin and insulin resistance. This makes PCOS sufferers prone to diabetes. It is yet another issue that has come up to be one of the most common female endocrine disorders affecting about 5 to 10 per cent of women of reproductive age between 12-45 years. According to WebMd women have a higher chance of having the syndrome if other women in the family have the disease. There is also a very strong link between diabetes and PCOD and cannot be prevented. But early diagnosis and treatment helps prevent long-term complications, such as infertility, metabolic syndrome, obesity, diabetes, and heart disease. Medical treatments aim to manage and reduce the symptoms and consequences of PCOD. However, the best treatment really is a lifestyle change which includes a combination of weight loss, exercise, dietary modification that together help to control the condition. According to an article in the TOI, experts agree that eating right can help control insulin levels, make one feel better, keep the heart healthy, lower the risk of getting diabetes and help losing weight.